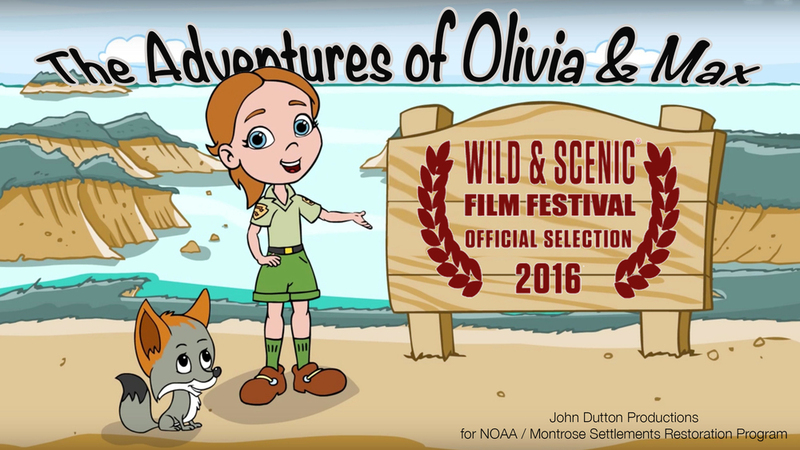 I am very pleased and proud to announce that our animated short film Adventures of Olivia & Max - Channel Island Seabird Restoration, produced for the Montrose Settlements Restoration Program / NOAA, has been selected to screen at the Wild & Scenic Film Festival 2016 (January). Our creative team and clients had a lot of fun developing the two characters for the series: Olivia - a smart nature enthusiast / park ranger wannabe and Max, a cute Island fox. By intercutting live footage with animation, the film shows the amazing restoration efforts of scientists and volunteers who have brought birdlife back to the Channel Islands.